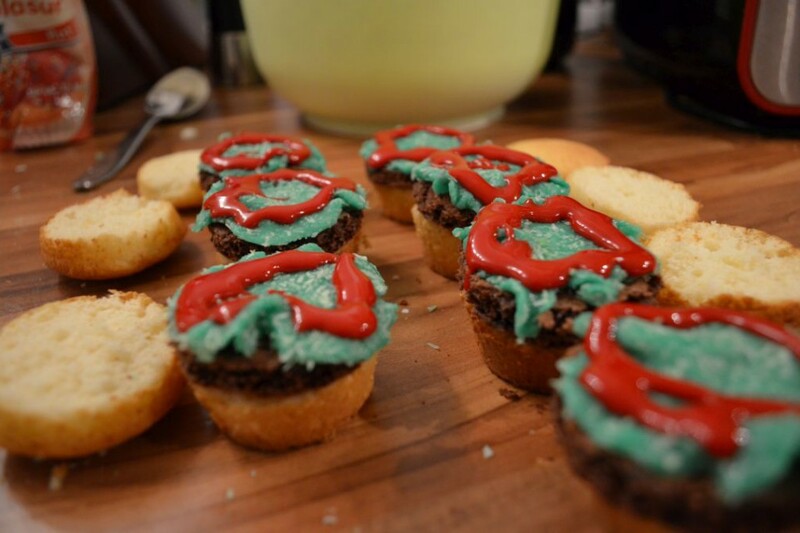 Not long ago, I once again baked the hamburger cupcakes, because I lost a bet with a colleague and his favorite soccer team is the Hamburger HSV. What a coincidence. 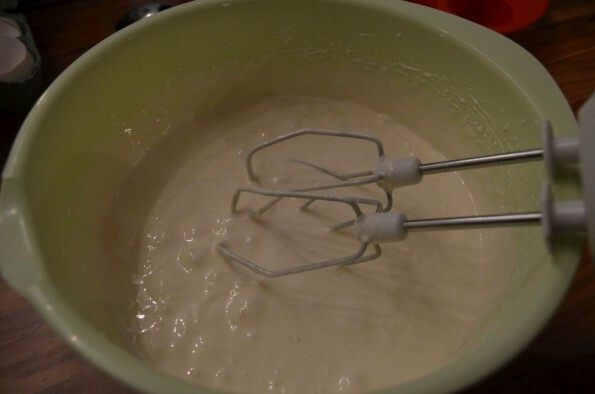 Put all ingredients for the paddies in a bowl and mix them with a hand blender. This dough is the “meat” between the buns at the end. 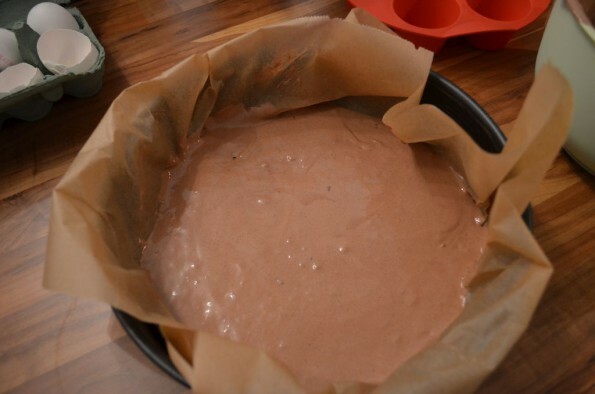 Give the dough into a cake tin, previously covered with baking paper, and put it in the preheated oven. 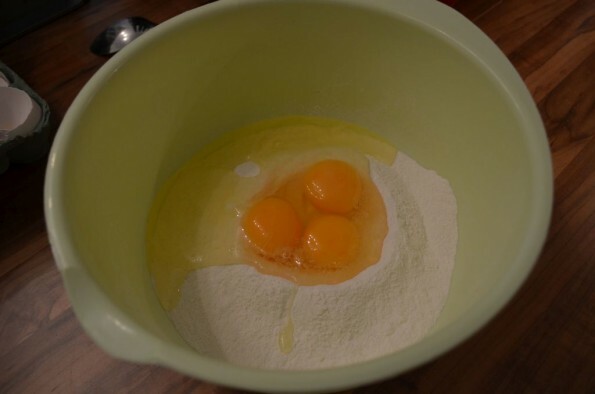 In the meantime, we make the dough for the bread. 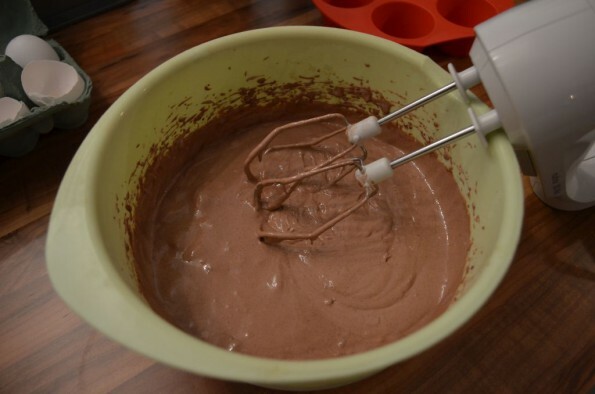 As before stir well all the ingredients in a mixing bowl with a hand mixer. 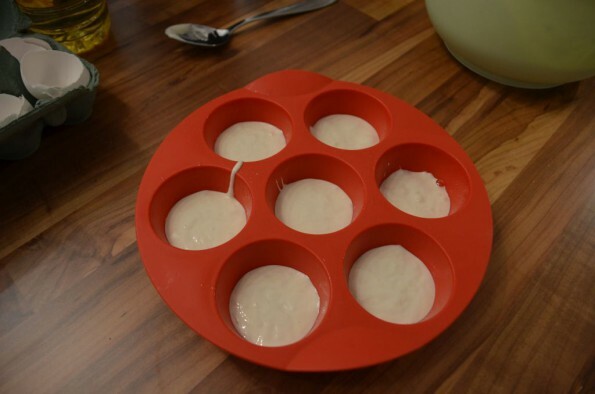 Give the dough in a cupcakes mould. 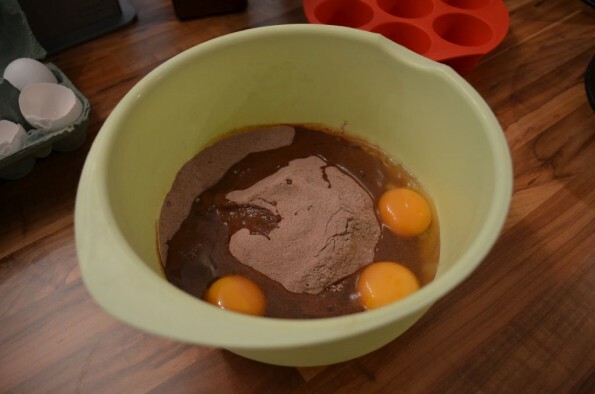 But do not fill too full, because we want no usual cupcakes, we want only the buns for our hamburger cupcakes. Finally, the form also comes in the oven.